Welcome back! I understand your feelings about the time it takes to do things and the amount you’d have to charge for it, but you do have a good feel for the dog portraits and I love the shoes. 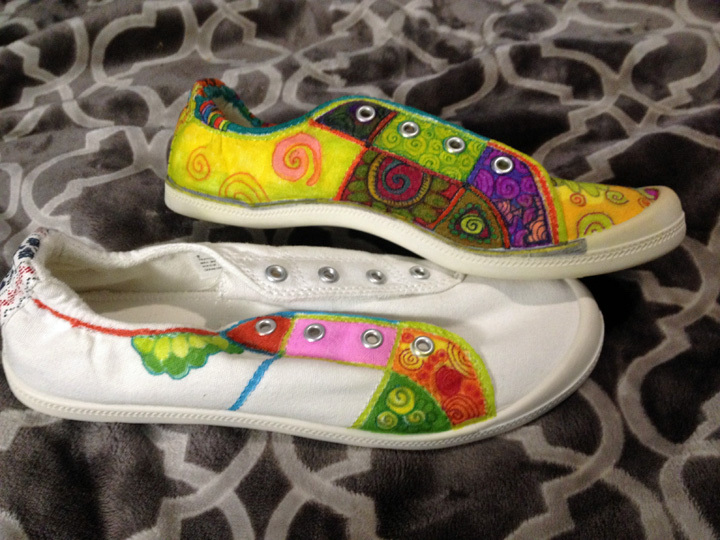 I’m tempted to get some shoes to color too. Have a great 2018! Great to see the blog again! The dog portraits are beautiful you truly captured their spirit,, the sharpy shoes are amazing but I agree, would people pay what you would need to charge,, I think they are something you can enjoy as being a very unique item and many will want to own lol,, very expensive shoes , hand embellished,, each a work of art!!! !I love them! Glad you’re back! Love the dog portraits! You’ve captured each individual. Yay! I had missed seeing your posts! 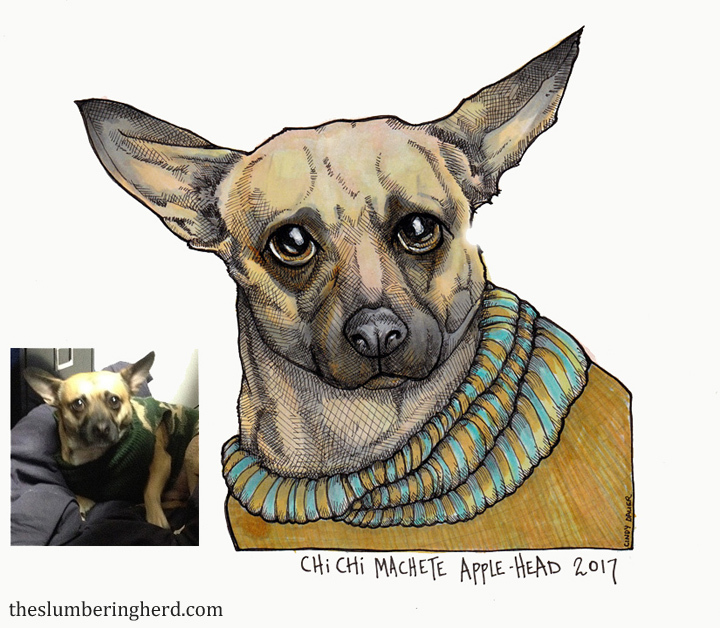 Your pet portraits are fantastic! And those sharpie shoes are wonderful! I may have to make me some! Your pet portraits are stunning! I also love the shoes! Wow those dog portraits are amazing especially the first one. Wishing you the best of 2018! Gorgeous pets – you captured the likenesses so well while maintaining your unique artistic signature. I bet you do get a lot of compliments on those shoes! SO FUN! So long 2017 and may we see you a lot in 2018. Cindy, nice to see you back in the blogging world. Love the well done realistic pet portraits. Your dog portraits are great but I love the shoes! Happy New year! The dog portraits are super gorgeous!!! Woo! You’re back! 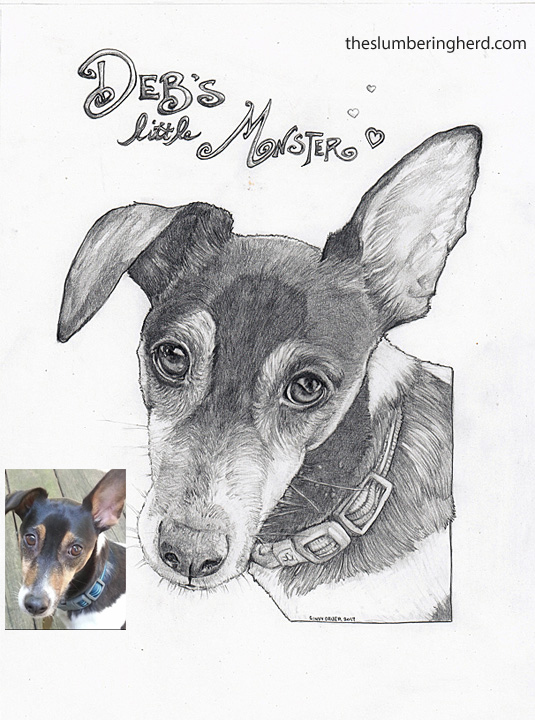 Always awesome to see your wonderful art and cute dog portraits. I totally love the shoes too. They’re amazing! Did you spray them with a fixative or something after? I wonder if they’re rain proof? 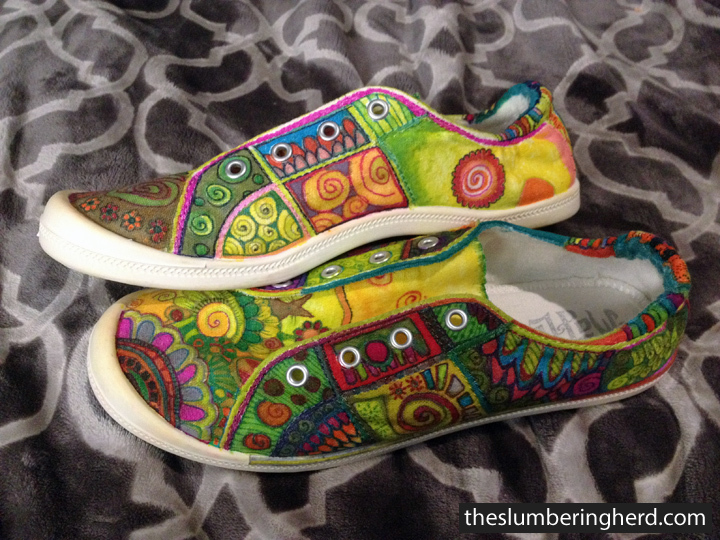 I wouldn’t mind making a pair too. Halloooooo, hallooooo!!! It’s great to see you, and happy new year! Can I tell you, I absolutely DIG your word art. They are magnificent! 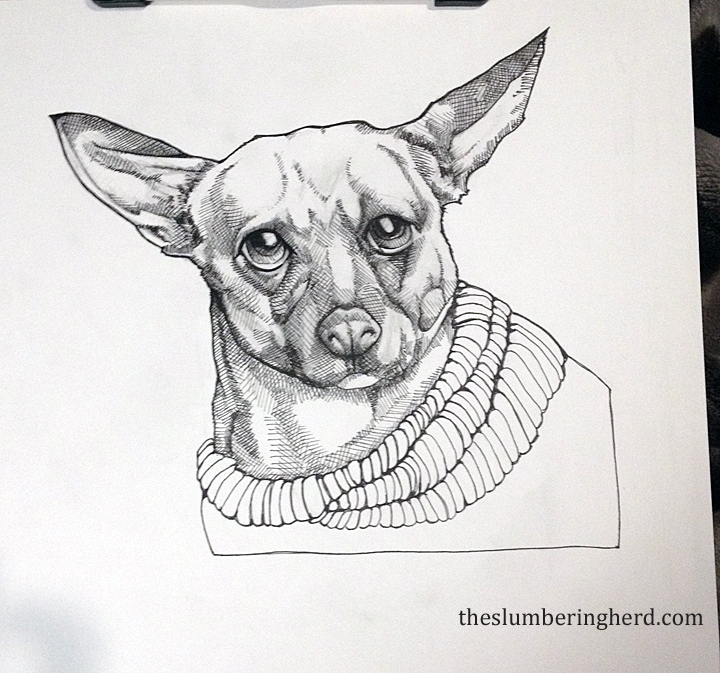 The dog portraits are really adorable, and I marvel with envy at your shading with ink. And those shoes! Those shoes! Whoa. I can imagine all the compliments you get with those. 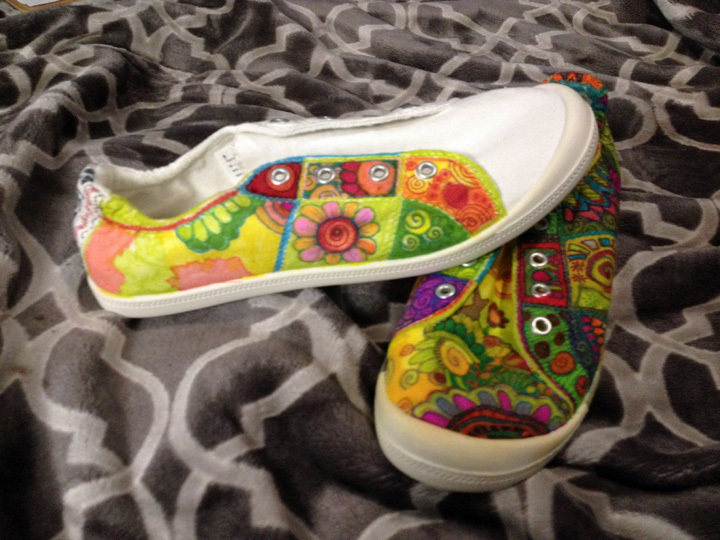 Ooh, lightbulb moment — word art on shoes! You could charge a mint, and I bet people would be clambering. Sooooo gooooood.